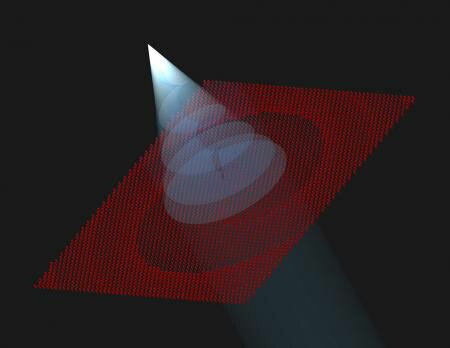 (Nanowerk News) Caltech engineers have created flat devices capable of manipulating light in ways that are very difficult or impossible to achieve with conventional optical components. These metasurface devices, described in a paper published online on August 31, 2015, in the journal Nature Nanotechnology ("Dielectric metasurfaces for complete control of phase and polarization with subwavelength spatial resolution and high transmission"), could lead to ultracompact optical systems such as advanced microscopes, displays, sensors, and cameras that can be mass-produced using the same photolithography techniques used to manufacture computer microchips. While the same goal can be achieved using an arrangement of multiple conventional optical components such as glass lenses, prisms, spatial light modulators, polarizers, and wave plates, these many components lead to much bulkier systems. "If you think of a modern microscope, it has multiple components that have to be carefully assembled inside," Faraon says. "But with our platform, we can actually make each of these optical components and stack them atop one another very easily using an automated process. Each component is just a millionth of a meter thick, or less than a hundredth of the thickness of a human hair."